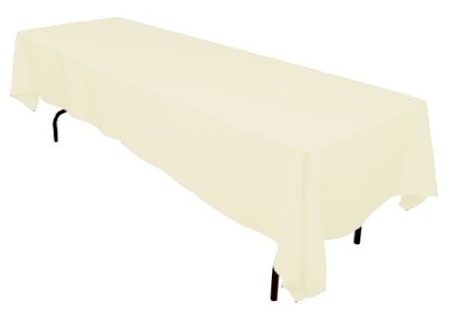 Daily Cheapskate: Long, white 60" x 126" tablecloth for $8.87 on Amazon (and other sizes); the MUST-HAVE-FOR-PASSOVER deal! Long, white 60" x 126" tablecloth for $8.87 on Amazon (and other sizes); the MUST-HAVE-FOR-PASSOVER deal! 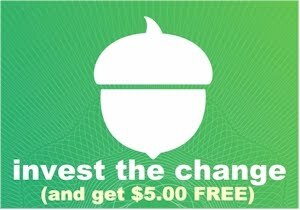 With an upcoming holiday that is replete with large, multi-course meals, lots of company and guests, and laundering restrictions, this has become one of the smartest Pesach deals around. Amazon has this 60" x 126" wrinkle- and stain-resistant white tablecloth for $8.87 with free Prime/SuperSaver shipping. This tablecloth is 10.5' long, so it will fit nicely over your 8' tables. It comes in 32 other colors and the other colors vary by price. I own a number of these in different sizes and they are a lifesaver over Pesach (and Sukkot too). These tablecloths are not going to be among your finest, softest linens, but they are durable, wrinkle-free, wash out beautifully. If you want something more than a crisp white tablecloth for your YomTov tables, you can dress these up with a pretty runner and creative place settings.